Panchayat members in Ghatmeeka village on the Rajasthan-Haryana border discuss the changes to dairy farming in the region following the recent spate of lynchings. Cow protection laws and cow vigilantism have also magnified the problem of unproductive cattle. 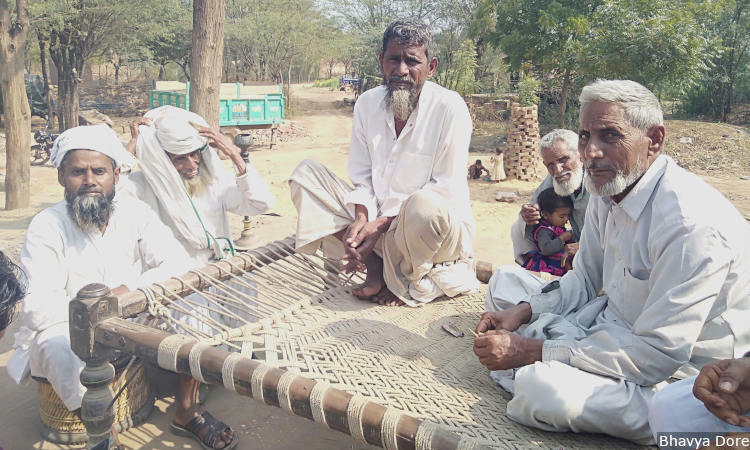 Alwar, Nuh, Bharatpur, Tonk, Bhilwara, Rajsamand, Jaipur: In Ghatmeeka village on the Haryana-Rajasthan border, a gathering of panchayat elders mulled over some changes in recent years. Sahood said he recently paid Rs 36,000 for a cow delivered to his house, which included Rs 5,000 as the delivery charge. “Everyone is doing this, not just in this village but in this whole area,” said Shaukat Khan, the sarpanch. Meo Muslims, a community of Rajput Muslims for whom cattle farming is a major source of income, number more than 300,000. They are spread across Haryana’s borders with Rajasthan and Uttar Pradesh, and are concentrated in Haryana’s Nuh district. For this community, cows used to symbolise wealth. Now, they are a potential liability. Hate crimes and cow vigilantism have hit families and communities as well as damaged entire economies, residents across the sites of 14 hate crimes in Rajasthan told FactChecker. We travelled across eight districts in Rajasthan and one border district in Haryana in February 2019, covering 3,600 km in 12 days, listening to the main actors on the ground–the victims and alleged perpetrators, the purported witnesses, local leaders, local police, and members of various religious communities. 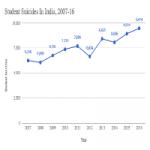 Rajasthan, India’s largest state by area, accounts for 5.7% of the population, and recorded the third highest number of hate crimes in the country since 2009, as recorded in Hate Crime Watch, a database of religious identity-based hate crimes across India from 2009 to 2019, maintained by FactChecker. Nuh, with a 90% rural population, lies just outside the National Capital Region and in 2017 was identified by Niti Aayog as India’s most backward district. The literacy rate was 54% according to the 2011 census, with only 27.3% children aged 6-59 months vaccinated and as many as 69.5% anaemic. Insecurity has gripped the residents in this district where Muslims comprise 79% of the population. Following the Pehlu Khan incident, Umar Khan was shot dead in November 2017 and Rakbar Khan was beaten up in July 2018, and he died not long after. Both men were transporting cows at night when they were attacked on suspicion of smuggling cows. “Earlier there was not a single house without a cow, now go have a look, you won’t find a single cow,” said Mohammed Abdullah, the imam (worship leader) at the local mosque in Jaisinghpur village. “Because they don’t let you bring cows. If your life is in danger why will you do this work?” He said people now preferred keeping buffaloes, which are sometimes more expensive. Muslim groups including the Panchayat have also told people that if they must still rear cows, to avoid transporting them at night. “Even if you are doing it legally then I won’t support it,” said Sher Mohammed. Ramzan Chaudhary, president of the All India Mewati Samaj, a social organisation, said this was also meant to send a message to people to avoid risking their lives. Besides dairy, two other business have also been collaterally affected by the rise in cow-related vigilantism on the Rajasthan border: transport and eateries, especially small biryani (curried rice dish) stalls. A dish that previously cost Rs 15-20 a plate and provided cheap sustenance for the poor is now Rs 30-35. Not all small business owners are able to purchase the higher priced meats. The decline in the biryani business began even before the Pehlu Khan incident when there was a spurt of police checks on highway stalls suspected of cooking beef. But the atmosphere following the lynchings did not help. “The connection between these things is that since the BJP [Bharatiya Janata Party] government has come, their vision has turned to such things to disturb the economy whether of dairy or of biryani. The goal was to scare people and weaken them,” said Chaudhary. Kassim Khan, a local lawyer handling three lynching cases, said even transporters are wary of moving cattle. According to the 2012 livestock census when stray cattle were counted for the first time, Rajasthan had 946,050 stray cattle, second only to Uttar Pradesh and Odisha. “Once they are no longer useful, cattle are let loose by farmers,” said Sandeep Kajla, head of Gramya Bharat Jan Chetna Yatra, an organisation which works on farmers’ issues, among other things. “The day is not far when you will see more stray cattle than people in our villages.” Kajla said the problem was growing so quickly in part because of increased mechanisation and the fact that bulls were no longer useful in the fields. The latest data on stray cattle are currently being collected, but based on visiting 1,500 villages across the state, Kajla said there were at least 500,000. Kajla’s organisation has been lobbying for dedicated spaces in every few villages to house and maintain abandoned cattle, rather than simply depend on gaushalas (cow sheds). Not all unproductive or rescued animals can be accommodated in the state’s 2,562 registered gaushalas which currently house 858,960 cattle, according to data from the state’s Directorate of Gopalan, a separate unit dedicated to cow welfare. Gauri Maulekhi, an animal activist and member of the Animal Welfare Board of India, said most were “full to the brink” and the state had not arranged for an infirmary in every district, according to the rules. The Rajasthan Bovine Act, passed in 1995, forbids the slaughter and consumption of cows and prevents their transport outside the state for slaughter. The maximum punishment can extend to 10 years’ imprisonment. According to police data provided to FactChecker, the number of cow smuggling cases registered in Alwar has been falling (160 FIRs in 2015, 117 in 2016, 94 in 2017 and 87 in 2018). A senior official said this was because the bravery of smugglers had ebbed following recent shoot-outs with the police, and lynchings had also frightened smugglers. Further, Muslim leaders in the region decided last year to levy a Rs 21,000 fine on anyone caught slaughtering cows in the Mewat region, but said they have not yet come across any such cases. “We don’t want people’s feelings offended or our region getting a bad reputation, so even the miniscule percentage who were doing it, we tried to stop it,” said Rizwan Chaudhary. 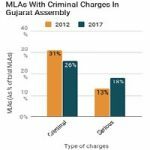 The police has no figures on how many people were convicted of smuggling, although over a three-year period from 2015 to 2017, chargesheets were filed in 302 of 371 cases, or 81% of the time. According to the most recent data from the home ministry, the quantum of border cattle smuggling between India and Bangladesh has also fallen, with fewer FIRs recorded and fewer cattle confiscated in 2018 compared to previous years. In the fourth killing in Rajasthan, the specifics were very different from the three cow-related Alwar fatalities, but similar in one way: the killing calcified a fear in a community. Afrazul Khan (50) who was murdered on camera in December 2017 by Shambhu Lal Regar in Rajnagar town was a Bengali labourer, whose death shook up the Bengali migrant community. In his video, Regar justified the killing to protect Hindu women from “love jihad”–the proposition that young Muslim men try to lure Hindu women into marriage and convert them to Islam–though police believe a personal motive was the real reason behind it. After Afrazul’s death, several workers immediately left for their home state. At the site of a proposed construction just outside the city, a real estate developer reflected on those days. “The whole community got disturbed after the incident,” he said. “It is difficult for them to return because of the fear that something like this could happen again.” Workers from Bengal have since returned, though a residue of fear animates their lives. As night falls the young men are returning to the tenement they share in Rajnagar town. Most of them are from Malda district in West Bengal, both Hindu and Muslim men who have come to Rajasthan in search of work, months-long stints in construction. One Muslim man said his brother was working in Rajsamand when Afrazul was murdered, and when they heard the news, his parents told his brother to come home. “People were terrified,” he said. “I had another friend who refused to come here too.” He said earlier he himself was very scared, but that fear has ebbed now. Apart from changes to the local economy and a deepening sense of insecurity, personal financial losses marked several of the cases investigated by FactChecker. 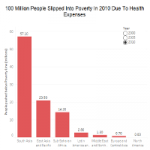 Families were widely hit, whether because a breadwinner had died or because property was destroyed or victims were too ill to work after being attacked. It has been two years since Pehlu Khan died in April 2017. “Running the house has become difficult,” said Irshad Khan, the second of Pehlu’s eight children, and one of two old enough to work. “The earnings he could bring in, we are unable to,” he said. Irshad claimed the Rajasthan authorities announced a compensation of Rs 5 lakh for the family but “till now we have not received five paisa”. The large, poor families of Umar Khan and Rakbar Khan are also struggling to survive, with barely any earning members. Both are getting by on donations. Communal clashes invariably result in substantial monetary losses for members of all communities involved. Lavien Tilwani was injured in a clash following a Navratra rally in March 2018 when he was on his way home in Tonk city. Tilwani was out of action for six months. The canteen he runs at the local court lost about Rs 1.5-2 lakh during this time, he said. 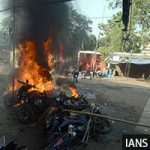 In Asind in Bhilwara district where a communal clash erupted in 2013, Mohammed Kamil Shaikh, a local BJP functionary, said he lost property worth Rs 12-13 lakh because his shop was burned down. He got approximately 20% as compensation from the administration, he said. Naeem Rabbani, whose hotel was sealed by the corporation on the suspicion of cooking beef, has moved court seeking Rs 5 lakh as compensation from the corporation for the delay in unsealing it. Getting compensation from the government is often laborious and long drawn, and the families of Rakbar Khan and Afrazul Khan have moved court. Hindu groups have criticised compensation measures, saying this glorifies cow smuggling. “We had opposed compensation for Rakbar, but the government does this for its vote banks,” said Sadhvi Kamal, the Rashtriya Gau Raksha Dal’s women’s wing chief. Sadhvi’s profile in the media has benefited following the protest she led at Rabbani Hotel in Jaipur, which she and her supporters attacked on suspicion of cooking beef, though she claims her organisation has been steadily growing over the years. Meanwhile, the Uttar Pradesh Navnirman Sena, a fringe political party in UP, will field Afrazul Khan’s attacker Regar an election ticket to contest from Rampur in the Lok Sabha polls. He also received social media support and donations in his bank account for his legal defence. A glorificatory tableau of Shambhu was also part of a Ram Navami procession in Jodhpur last year. “If you attack a church or lynch someone you get the limelight,” said Shibu Thomas, founder of Persecution Relief, which tracks hate crimes against Christians in India. “You may get an election ticket or a party position. The stepping stone to that is attacking minorities.” He said the silence of the prime minister or government heads only emboldened such attackers. Some rifts appear to heal with the passage of time. In January 2013 when Hindu groups opposed a Muslim procession on the occasion of Eid in Asind town in Bhilwara, violence ensued and a curfew was imposed. This is the third of a four-part investigation into 14 hate crimes reported from Rajasthan. You can read the first part here and the second part here. The previous, six-part series reported from Uttar Pradesh can be read here.